This is a great 16-Bank charger. Charges a set of 16 AA batteries in about 4 hours. Refresh your tired old batteries as well. This charger can help bring some life back to them. If you have old batteries laying in the desk drawer just pop them in and press refresh. The charger does the rest. Charges any mix of NiMH and NiCd, AA and AAA batteries. 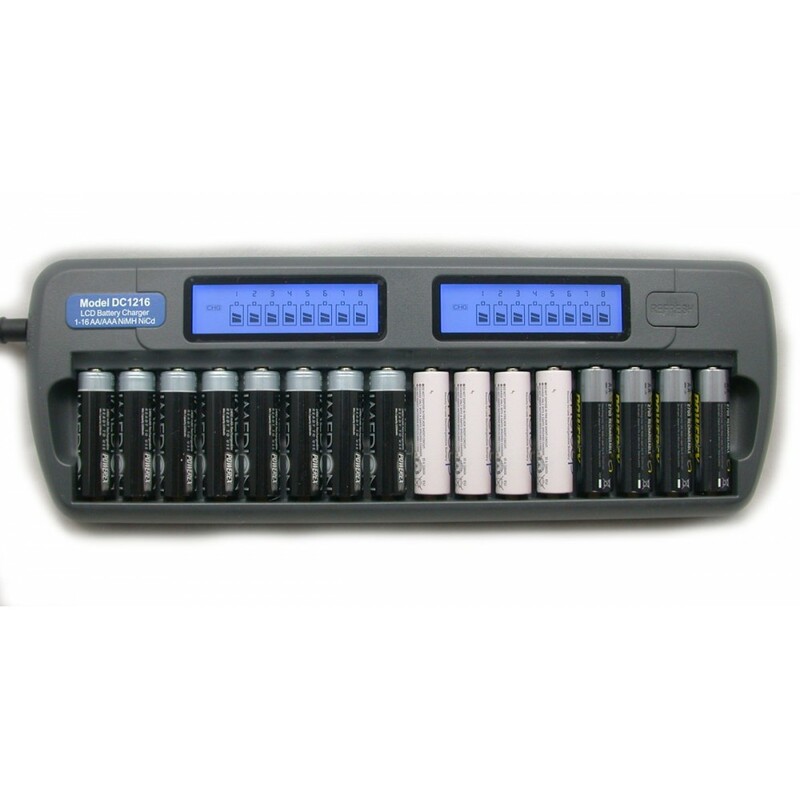 Charges 1 to 16 AA or AAA batteries at the same time. * Input voltage 12 Vdc, 2.0A max.